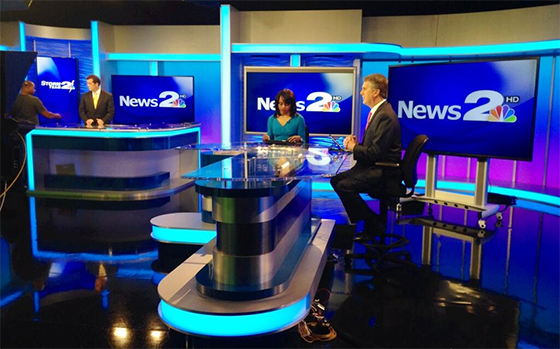 NBC affiliate WCBD-TV is the first of many upcoming set debuts for Media General. The new look hit the air Wednesday and was designed by FX Design Group. 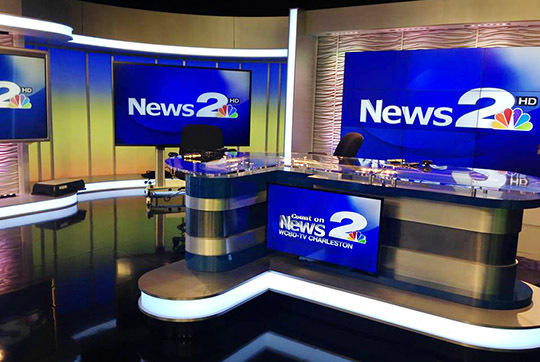 The set by FX Design Group is a preview of what’s to come at both WFLA-TV and WSPA-TV, who have posted pictures of their installation process and appear to have similar set designs. 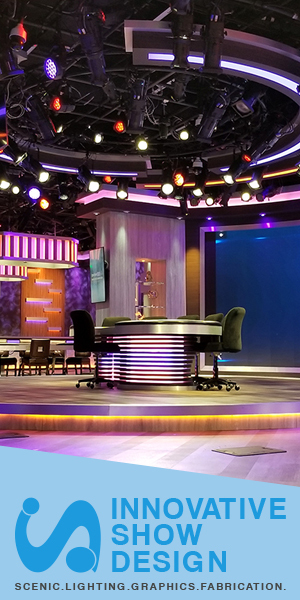 The design includes an L-shaped anchor desk with a 3×3 monitor array camera center. The desk is fronted by a large monitor and uses a combination of polished metal and blue stripes with a backlit riser. Visual interest and depth is created throughout the set through the use of textured walls. Backlit headers and footers anchor the set, with gradients of color between. All of the gradient panels, headers and footers throughout the set can change colors depending on newscast and usage. 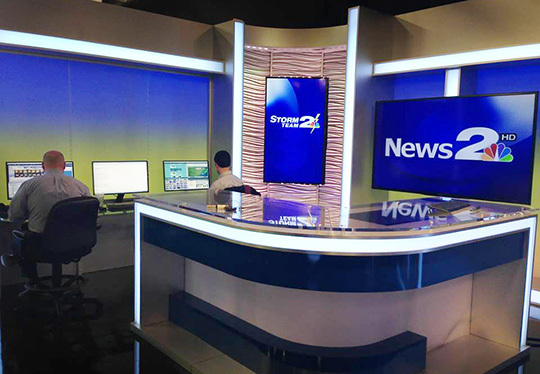 A standup location is located between the anchor desk and weather center with a large monitor and textured walls. The sets weather center includes a large pod with multiple embedded computers. Two monitors present multiple presentation points with ample workspace. Sister stations are expected to debut new looks in the coming days as we approach the May book.